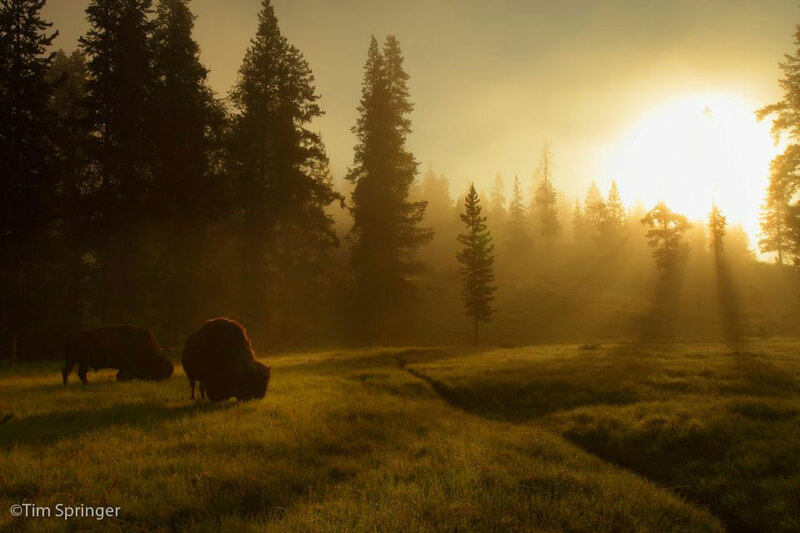 The buffalo of Yellowstone National Park, considered by many to be a living national treasure, are too often harassed and killed by federal and state government agencies. Buffalo Field Campaign (BFC) serves the herds as defenders and protectors, helping ensure the survival of future buffalo generations. To stop the harassment and slaughter of Yellowstone’s wild buffalo herds; protect the natural habitat of wild, free-roaming buffalo and other native wildlife; and work with all people—especially Indigenous Nations—to honor and protect the sacredness of the wild buffalo. In the field: Our volunteers conduct regular patrols to track and locate buffalo. Teams monitor buffalo movements; document herd activity with field notes, photographs, and video; and remain prepared to initiate nonviolent action as necessary to defend these magnificent animals. In a great example of BFC synergy: our field patrols also collect scientific data for use by our legal and legislative teams, biologists, and other organizations—adding another layer of value to our field campaigns. In the political/legislative arena: We support a variety of efforts to inform local, state, and federal politicians and legislators of the plight of the buffalo—and the importance of wild populations. In the courts: Our legal team fights judicial battles to defend the buffalo’s right to roam freely and live according to their natural instincts. 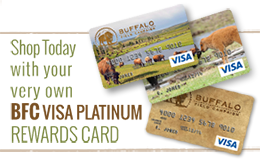 In the public mind: In addition to providing information for educators, BFC actively promotes the needs of the buffalo through various public forums such as community meetings; information booths in and around Yellowstone; select conventions, expositions, and festivals; our annual roadshow; and more. 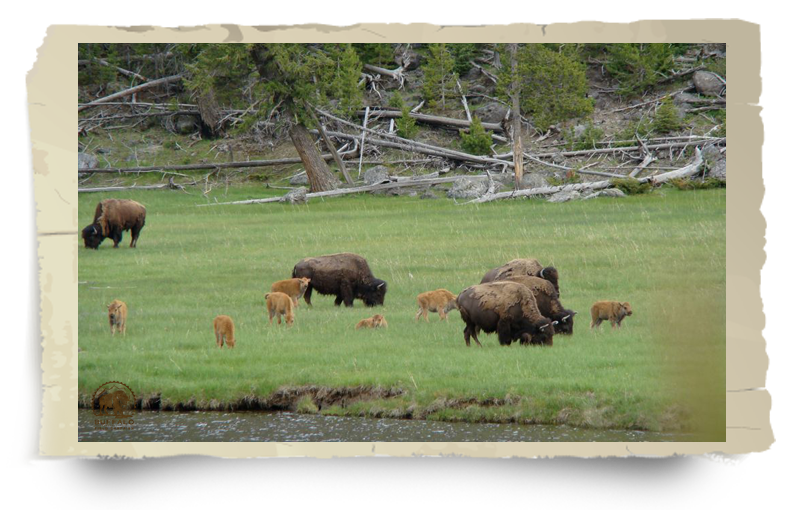 We envision a world in which buffalo and all other native wildlife are allowed to exist for their own sake, are given priority on public lands, and herds are allowed to maintain self-regulating, sustainable populations. Community – We create strong bonds with our allies and enjoy genuine connections to the tribes, organizations, networks, and others with whom we work. Creativity – We foster a culture that encourages new ideas and the voicing of differing perspectives. Rather than be bound by convention, we understand that the best ideas may not have been thought of yet, and actively seek uniqueness and originality. Diversity – We celebrate our wonderful blend of cultures, beliefs, and backgrounds...and are stronger because of it. We honor our differences even as we work to achieve the same mission. Ecology – We acknowledge, respect, and protect the interdependent relationships that living organisms, including ourselves, have with each other and with their natural environments. Education – We understand the importance of personal and societal growth and its link to successful movements, and strive to expand our own knowledge even as we work to help others understand. Environmental Activism – We advocate and act to preserve, restore, and defend the natural environment that sustains all life on Earth. Fun – We place a premium on having fun while focusing on our serious work. We will never devolve into a faceless, big, or boring organization. We will always be able to laugh at ourselves, and find ways to include fun and humor in our days. Honor – We understand that we are not the first to pursue our objectives. We acknowledge and are inspired by those who have gone before us, and intend our work to serve as a tribute to them. Nonviolence – Nonviolence is a cornerstone of our organizational culture. BFC’s power is generated through cooperation. All systems of injustice require cooperation to continue, so through nonviolence we help communities and individuals find and share the power within themselves—for the benefit of all. Objective Science – We believe policy makers, legislators, and the public must require a higher-than-normal burden of proof before action is taken that might negatively impact wildlife or the natural systems in which we all live. Open Communication – We communicate frequently, honestly, and in a timely manner in order to preserve our transparency, effectiveness, unity, and alignment. Respect and Integrity – We treat each person and all life with the reverence they deserve, and hold ourselves accountable to high standards of character. Through our consistent actions we earn the trust and respect of others. Spirituality – Our goals and actions hold personal meaning for us beyond a physical connection. The fulfillment of our mission and our work to protect nature is part of a deep and significant personal growth process. Sustainability – As we work to fulfill our mission, we seek to decrease our carbon footprint, reduce waste, conserve nature, and support a local and green economy. Wildlife – We propose that nature, to be complete and self-sustaining, must include native animals. To be “wildlife,” these animals must be free to exist in a manner—and place—free from human control and intervention. If you are inspired by our goals and ethos, please join your energies to ours!